For decades, offices have accumulated massive file cabinets and storage rooms full of boxes with paper documentation. Everything from employee forms to report data was printed out, labeled and filed away for later recollection. Nowadays, document management systems are critical for maintaining an organized filing system. Document management workflow software programs help your company exercise greater control over the files, forms and other documents your business uses on a daily basis. If your company has yet to move to such a system, now is a good time to learn the benefits it could bring to your organization. A document management system is a software program that helps your company effectively index, store and retrieve the vast array of business documents that develop from day-to-day operations of your business. With the right document management system in place, your company can reduce costs, improve service with quicker retrieval times, boost productivity and meet regulatory requirements. Migrating toward a document management system helps organize and maintain the vast array of digital documents created in the workplace each day. These systems are designed to help your business handle this challenge and create a well-organized digital filing system. Below, you'll learn about the four biggest benefits a document management system can bring your business. After these benefits, I’ve included four document management best practices you can apply to set your efforts up for success. How does your company currently store documents? Whether you've made a full transition to digital documentation or operate a hybrid system with hard copy and digital files, you probably do not have a central hub for all of your files. In many cases, each department within a business (marketing, sales, human resources, etc.) maintains its own filing cabinets to store the documents and files used during daily operations. Even a digital environment is prone to decentralization. With the adoption of a document management software program, your company can centralize all of its documents in one place. The system establishes a central hub where all digital files are stored. No matter what department an employee works in, they know where to go to find any file. A central hub establishes a clear destination for document storage. It also puts better control measures in place. When each department stores its own files in its own manner, it creates a sense of confusion and allows multiple versions of the same file to be created and stored. With document management, greater control over document versions can be created to minimize confusion later on. When each department controls its own files and establishes its own protocols for file creation, sharing and storage, it becomes difficult for employees from other departments to find the documents they need. Document management allows employees to more easily access the files they are looking for, when they want them. Since that central hub is controlled more precisely, your employees will not only find the document they need faster, they'll find the right file the first time. The ease of access allows employees to get their jobs done accurately without needing to search for the correct version of a document. It's not easy for any company to adopt a corporate-wide system for managing files, controlling file versions and providing secure access. Certain departments within your business have different document management requirements. 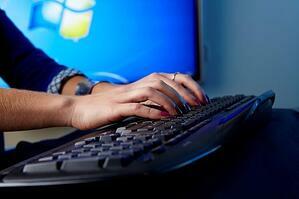 Depending upon your industry, a feature like file security may be required. Document management software offers the flexibility to meet the varying operational needs within your company. Files used by multiple employees across various departments are easy to find and accessible by all, while protocols can be established to limit access to other file types of a sensitive nature. Every business has files and documents that are not meant to be accessible to everyone within the company. For example, non-authorized employees shouldn’t have access to payroll documents or personal information of other employees. Document management workflow allows your company to establish enhanced security systems that control access. 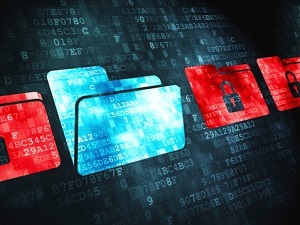 Digital file folders can be controlled with secure access codes that limit the individuals who can view, share, download and alter files on the network. For instance, the company's financial forms can be controlled in digital folders that tightly restrict access to upper management and directors. The security systems protect your files from improper use internally, and unlawful access externally as well. Best of all, your IT department has the ability to set the security protocols you choose for the document management system. In order to reap the benefits of a document management system, it’s important to have certain processes in place. The following document management best practices enable businesses to successfully select, implement and utilize their document management systems. Even the best file organization strategy is useless if different naming techniques are used within each folder sector. Employees need to have and follow naming guidelines so that staff members aren’t creating their own file names independently; if not done this way, finding files will be challenging, at best. Document management software provides a template with pre-defined document names that employees can use to consistently name documents in an effective manner. Although pre-defined terminology is attached, your company can customize the naming scheme to suit your conventions and even include date stamps, making chronological file searches possible. The amount of confidential data that companies collect and store is continually increasing; examples of confidential data range from client financial information to HR records. Restricting access to these types of documents isn’t just important, it’s smart. Document management software offers a solution to document access restrictions in the form of defined user access and permission controls. Role-based security allows your IT department to create user groups with pre-set access rights. This ensures that entry-level HR employees are in a different access group than the HR manager, and have no access to documentation in other departments unless vital to their role. If you were to audit all the paperwork in your company tomorrow, how much of it do you think would be worth holding onto? Document management systems can easily relieve this headache. Each industry will have different regulations for document retention, making compliance and essential component behind implementing a document retention policy. Document management software allows you to create policies for the proper retention of documentation. This consists of an administrator establishing a specific digital file cabinet for retention and putting restrictions in place on deletion and modification until a maturity date. Administrators can also change options on files including when documents can be purged, archived and copied, in addition to designating who can perform these actions. Last but not least, there is the concern of metadata’s role in a document management system. With folders, you have to remember where you put your documents. Metadata, which makes documents much easier to find because they store data based on what it is (not where), replace this old-school organization method. Folders also require you to store documents in multiple locations. For example, a purchase agreement may need to be in the Customer Folder for accounting and also in the Project Folder. What happens when the purchase agreement changes? You need to update the document in two places. If one is missed, you will have two documents with conflicting information. You will not have a single point of truth defined. With metadata, you tag the document with customer name and project number. When you access the data from the customer perspective, it will show the purchase agreement. When you access the data from the project perspective, it will show the same purchase agreement. Just in a different view. The key here is the document is only stored once in the system. This reduces the amount of storage required, provides a single point of truth and allows you to control the document life cycle. In summary, metadata has three potential roles in document management: search, display and organization. Metadata helps companies in the ways described above, but it won’t do any good if your tagging system isn’t managed and if the data isn’t tagged properly. Following metadata best practices will allow your business to search through documentation faster and organize the display of documents based upon this metadata. Document management systems are highly customizable. At the end of the day, the one that works best for your company is going to be the one that best meets your needs. By following these best practices, your business can be reaping the benefits of document management software in no time. Request a free consultation to begin defining your needs with a document management specialist.